In this work we present a new CDH-based ring signature scheme with some striking advantages. On the one hand it is secure without random oracles, perfectly anonymous, and unforgeable solely under the CDH assumption in bilinear groups. 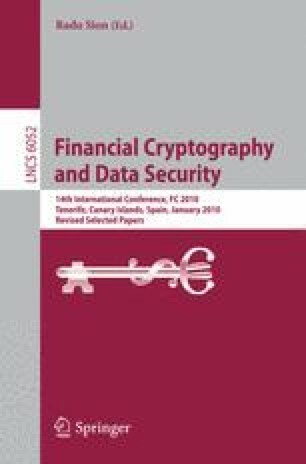 This makes the security of our ring signature schemes rely on weaker (and less) assumptions than all previous (full) ring signature schemes secure without random oracles. On the other hand the scheme is very space efficient; a public key consists of just a single group element and a ring signature accounts for only n + 1 group elements, where n is the size of the ring. This is only about half the number of components when compared to other ring signature schemes that do not exploit ring re-use. As all computations are in groups of prime order, we do not need a trusted setup procedure. All these features do not come for free. The main drawback of our scheme is that it only provides security against chosen subring attacks where the attacker is not allowed to query private keys.